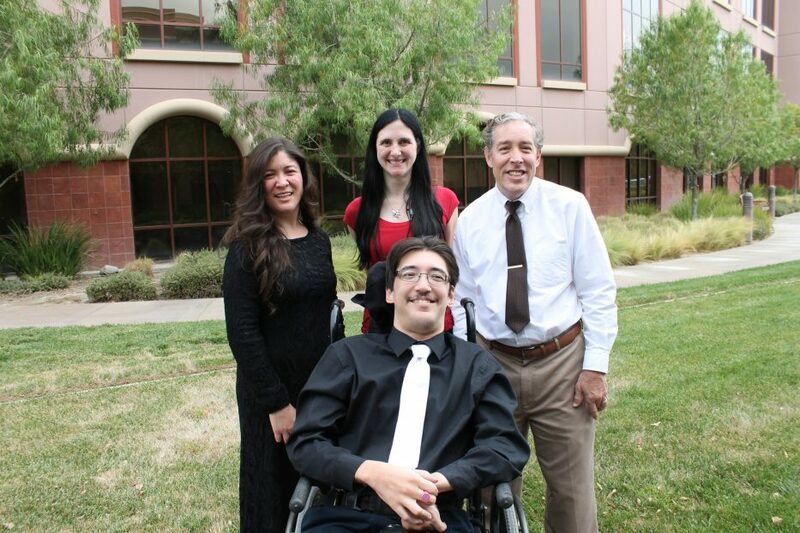 At Inland Regional Center (IRC), we continuously strive to improve the life quality of individuals with disabilities. To that end, a small, dedicated team called the Consumer Advisory Committee (CAC) hosted a Cerebral Palsy (CP) awareness event called CP Day. The goal of the event, held earlier this month, was to help Service Coordinators become more knowledgeable about CP and how to best meet the needs of Consumers with Cerebral Palsy. CP is a disability with very specific symptoms that can create equally specific limitations and capabilities. 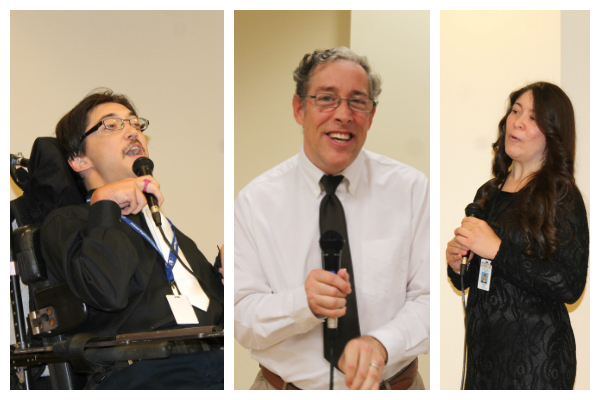 CP Day presenters, including me, shared three distinctive perspectives about life with CP. The presenters aimed for more widespread awareness and acceptance of people with CP. IRC’s Service Coordinators seem to be a good starting point for new information and a perhaps a fresh perspective. In the minds of the presenters, this presentation was critical in contributing to IRC’s mission of improving the lives of those with developmental disabilities. It’s great to see a growing representation of the disabled community in the public eye. Growing up with Cerebral Palsy, it was rare to see respectful representation in mass media. Lack of representation is directly reflected in the reception people with CP face. This is why IRC places a heavy emphasis on the inclusion of people with disabilities. It’s not enough to represent the “disabled” community if they’re kept separate from the rest of the world. Each of the presenters are each affected differently by Cerebral Palsy. Each of their presentations showed how their differences influenced their lives. The initial concept of the event changed from a general overview of life with CP. We wanted to do something especially impactful. We wanted to show that CP has an identity distinct from other disabilities. The event started with an icebreaker to illustrate the physical challenges of CP. Attendees were instructed to place their dominant hand behind their back and peel a banana with their other hand. People used innovative ways to get the job done! After the icebreaker, attendees watched a video called Awkward No More.  The video showcases how people with disabilities are treated in the workplace. The short (and funny) film also shows how people with disabilities would like to be treated. After that, the presenters took the stage. I was the first up! I briefly explained what Cerebral Palsy is, from a scientific approach. I then emphasized the critical impact CP has on social interaction. I shared stories from high school and how I have faced subtle prejudices in seeking employment. The second presenter, Ismeth Estrada, gave details of overt prejudices in perusing education in early childhood. Ismeth also talked about the triumph of proving herself capable to those who had doubted her. The final presenter, Gregory Harrison, provided tales of optimism in his humor packed presentation! He shared how his greatest difficulty in living with CP is transportation. If there’s one thing the CAC could ask for, it would be a wider audience to spread the message of awareness. Which is why we are writing this blog! The CAC exists to advocate for the consumers of Inland Regional Center. We are our proud self-advocates! Cerebral Palsy can be an inhibiting disability. It needs greater understanding. With enough exposure, we hope to defeat alienation. People with disabilities are always going to be distinctive. But we should not be a category that is set apart from others. Inclusion will be fully realized when people with disabilities are seen as part of the cultural norm. Cody Williams is an IRC Consumer Advocate. He works to help Consumers understand the resources available to them through IRC. He is a passionate about bettering the quality of life for people with developmental disabilities, through awareness and acceptance. Outside of work, Cody enjoys playing video games, writing film reviews, and binge watching his favorite Youtube channels!